Discovering peace, paradise, and family fun is often hard to find. The trick is to find small towns that are not always located just right off the main road. Places like Lebanon, MO where you can get your kicks on the Route 66, catch your trophy trout, or find hidden treasures at the largest antique mall between Joplin and St Louis. Lebanon, MO is most known for being located on the “mother road” and home of Bennett Springs State Park one of Missouri’s oldest state parks. While both destinations are must-sees and great importance to the area, there is also much to do in between. Often the first step to planning vacation is lodging, especially when you are off the beaten path and in a small community where lodging may be scarce. Lebanon has many lodging accommodations that meet any traveler’s needs. 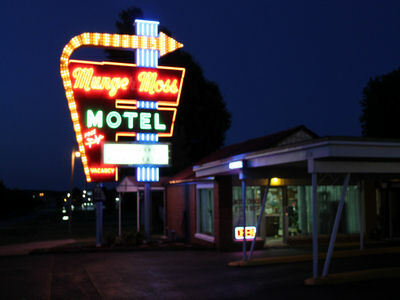 Are you a history buff, lover of the Route 66, or do you just like quirky little Mom and Pop hotels that remind you of what life once was…well if you answered one or all three of those questions yes, then check out the Munger Moss Motel. I am not sure what is more interesting of this historic little hotel, rather it be their unique bathrooms or their classic sign that draws travelers from miles around. Owners Bob and Ramona Lehman have owned and operated the Munger Moss Motel in for over 40 years, Ramona even laughs that she first rented motel rooms out for $9.00 a night. Today the rooms cost a bit more, but no worries folks there are many updates including Free Wi-Fi. Options for the camper, the luxury camper, or those who want an all comfort visit One Eyed Willy’s on the Niagua River. One Eyed Willy’s offers several different styles of accommodations, float trips, entertainment, and a unique dining experience on the banks of the Niangua River. Another one of the many (several not mentioned) lodging facilities is at Bennett Springs State Park. Anything from tent camping to staying at the Bennett Springs hotel, you can find all your lodging needs at Bennett Springs. At Bennett Springs State Park, you can also enjoy hiking, fishing, kid friendly playground, and swimming pool. After you make the tough decision of lodging then the challenge is to figure out how to entertain your family. While you may be off the beaten path and a bit secluded you will still find so much to do. 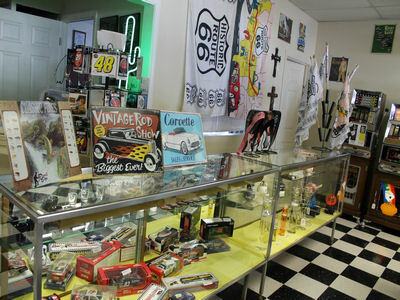 Visit Lebanon’s free museum dedicated to the history of the Route 66 and Lebanon, MO. See some of the best Route 66 photos, a recreation of a 1950s gas station, classic diner, and many pieces of Route 66 memorabilia. Have you met an Alpaca? Schedule a tour of Missouri’s largest Alpaca herd at Whirlwind Ranch, learn about these curious, and super sweet animals. Feel their fiber, discover how yarn is made from their fiber, and finally visit Whirlwind’s store to see amazing products made from Alpaca fiber. You might just find your next must have hat. Reservations are required; visit their website for more details. Mr C’s Route Post is home of the Route 66 Root Beer and other flavors! They also house the largest selection of Route 66 merchandise in the Ozarks, therefore you’re sure to find a souvenir for every member of your family. It never seems how much we plan, or how busy we attempt to keep them there are is always there is always those times when we are desperate to find something to fill their time. Lebanon has three great places just waiting to entertain you. Boswell Aquatic Center is an easy place to cool off the afternoon and let the kiddo’s burn up some of that extra energy. Make it a movie night at the Ritz 8 Theatre or practice your bowling at Starlite Lanes. Lebanon 1-44 Speedway has races every Saturday night, from March to September, cars race around the 3/8-mile asphalt oval in five divisions: Late models, modified, sportsman, road warriors, and chargers. Midway Speedway is meant for family fun, with races every Saturday night. Midway not only offers five divisions of cars, but also has Kart Racing, Pit Bike racing, and 4-Wheeler Rodeo Racing. Vacation is all about the adventure, but what kind of adventure you are ready for? Ready to give your best at kayaking down Niangua River or maybe you will just settle for a relaxing canoe trip? Do you feel adventurous? NRO Zipline offers over 3000 feet of pure adrenaline as you take a scenic zip in Lebanon. Visiting smaller communities such as Lebanon, MO not only gives you a glance at the slower pace of life, but also can be a very memorable vacation.